"Chase had an awesome time and learned a great deal as well. In his words, the trip was "amazing, best trip ever!" He misses sleeping in the hammock, working out on the boat, and spending the evenings on the beach with everyone. When I asked him what he might change about the trip, he said he'd make it much longer of course. He enjoyed everyone on the trip, Paul, Mikki and Matt, and the whole crew at the facility. He loved all of the activities ... the research, the cave tour. All around awesome! Thanks again for such a wonderful trip! "Thank you so much for taking the time to Skype with us today! 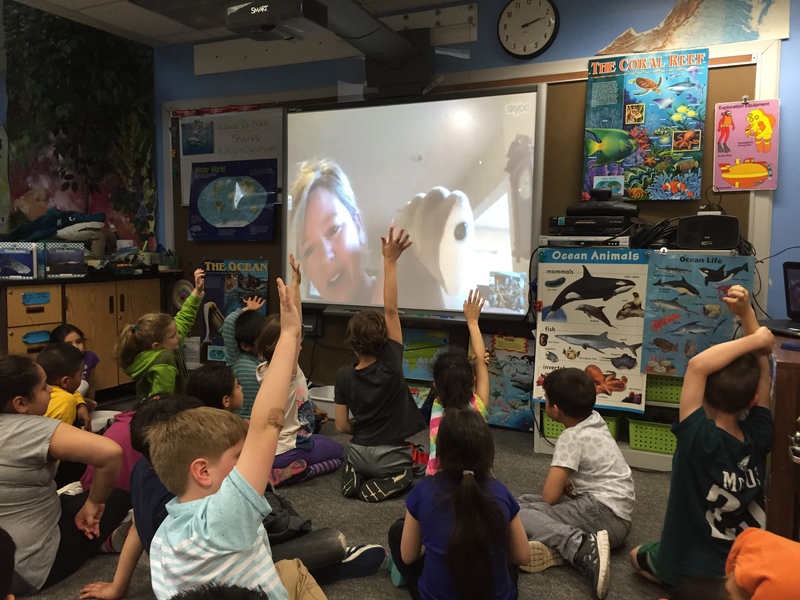 My students really valued your information and were thrilled to have a virtual field trip. I am already planning my next one! Thank you so much for making this a very exciting experience for my students and I do so hope we get to speak with you soon!" Ms. Sam Westerlind | McGinnis Woods Country Day School, Alpharetta, Georgia.